Unfortunately, Trevor is no longer with us. After a battle with Cancer, he is now at peace and suffering no more. Trevor was a fantastic member of the Bay Transfers team for 8 happy years. For many of our customers he was the start and finish of many a holiday. Always a smiling face to greet them and he had a genuine interest in finding out where people had been and what they had done whilst away. Trevor was a fountain of knowledge and could hold a conversation on many subjects, making journeys to the airport go in no time. 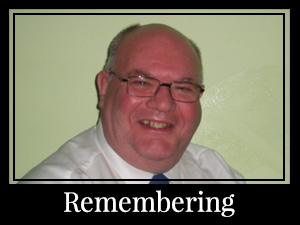 RIP Trevor, you will be sadly missed by us all here at Bay and by your regular customers that requested you. Keep clocking up the miles in the sky fella.